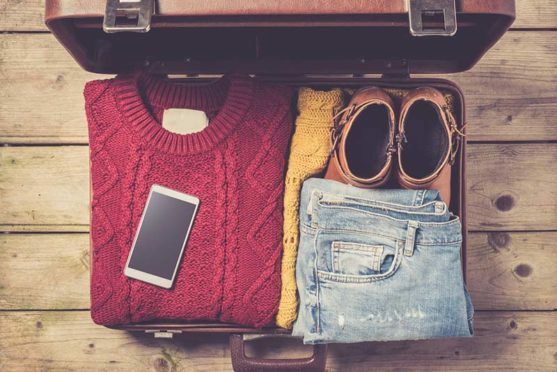 Summer might be drawing to an end but that doesn’t mean you can’t still enjoy a getaway. The north-east of Scotland offers some of the best places to visit – either in the unspoiled landscapes or in the many towns and cities in the region. From foodie getaways to ideal hill-walking spots, there really is something for everyone. Our list highlights some of our favourite holidays places to stay. With the benefit of an on-site reception, additional 24-hour self-service check-in and guest lounge, Printworks provides a unique opportunity for guests to enjoy the flexibility of a serviced apartment for as little as one night, offering a welcome alternative to hotel accommodation in Peterhead. The apartments offer more space and comfort than an equivalent standard hotel room, with full-size kitchens, and space to relax and dine in each apartment. Each apartment is inviting and comfortable making short and long stays an enjoyable experience. Your ‘home away from home’ gives you the opportunity to live exactly as you would at home and enjoy greater flexibility, independence and privacy than you would in a hotel. You can cook your own food, wash your own clothes and entertain friends, family and colleagues. Ideally suited for business executives, or families relocating to the area, Printworks is ideally located in the city centre of Peterhead. The accommodation comprises, eight x two-bedroom apartments, sleeping up to four guests and two x one bedroom apartments, sleeping two guests. All apartments are self-contained, ensuring privacy and comfort. Dating from 1870, this splendid Victorian shooting lodge is set in its own grounds only two-minute’s stroll from the centre of Braemar. Best described as a hotel of character, it has the air of a large family house that has not forgotten its sporting origins, and is personally managed by the owners, thus ensuring a continuity of the finest standards. 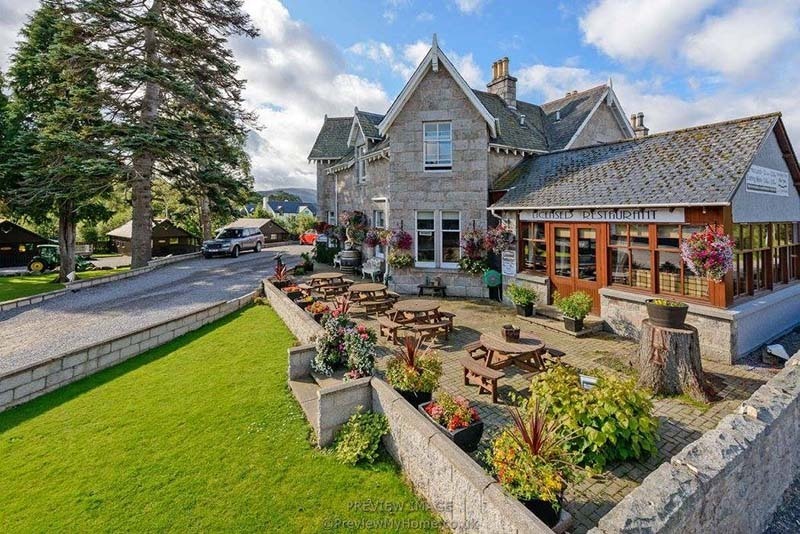 Built of grey granite that glitters in the highland sunshine, Braemar Lodge Hotel enjoys the illustrious history of being a former Victorian shooting lodge. The local red deer population have obviously forgotten its past for they are often to be seen running through the grounds of the hotel, particularly during the winter months. Surrounded by the beauty of Deeside, Braemar Lodge Hotel extends a welcoming, comfortable ambience that is evident from the moment you step through the door. Find out more at the Braemar Lodge website. For fantastic food, using the very best of seasonal Scottish produce, comfortable accommodation and attentive service, look no further than the Kildrummy Inn near Alford. The Inn is focussed on serving high quality food, cooked by their award-winning chef in the two AA rosette restaurant, drinks in the cosy lounge bar and offering quality accommodation. They also have the benefit of the attached Volunteer Hall, which can host weddings, conferences or events for up to 120 people. 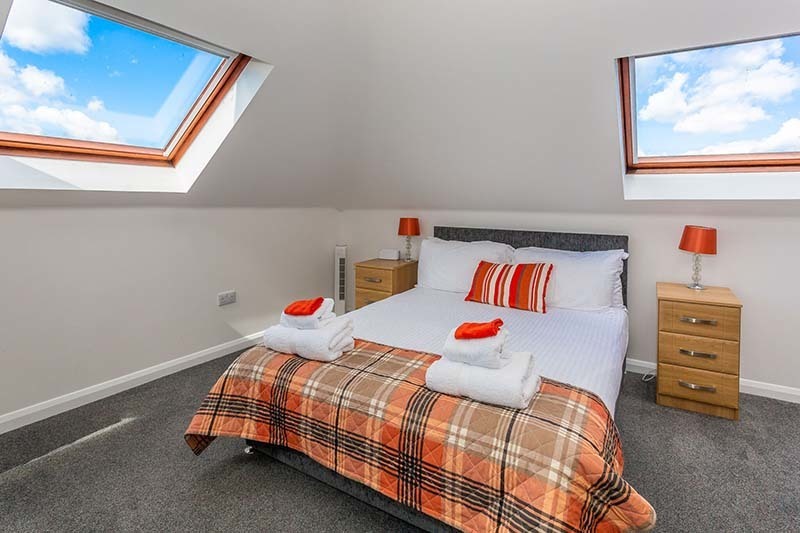 Kildrummy Inn has four en-suite bedrooms with open views across the peaceful Aberdeenshire countryside. With an AA four star grading, the well-equipped rooms have double or twin beds, TV and wifi, tea and coffee making facilities and luxury touches. The Inn is used to hosting events of all types so please ask a member of the team for a look around and further information if you would like to know more about what they can offer. A very warm and personal welcome awaits you. Visit the Kildrummy Inn website. 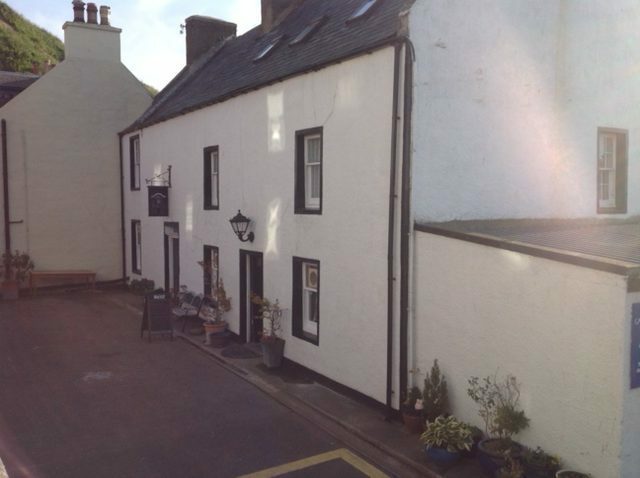 The Garden Arms Hotel is situated in the picturesque village of Gardenstown. It is now under new ownership. New management Derek and Lorraine took ownership in April and have been refurbishing and upgrading the Hotel. The 275 year old pub is quirky and quaint and very welcoming. Offering daily bar suppers and also a pre book restaurant on a Friday and Saturday night, serving fresh local fish supplied and filleted by In-shore and fillet steak sourced from a local butcher John Stewart. At present there are 2 available letting rooms offering B&B. Why not come along for a visit it really is a little hidden gem. A fabulous place for tourists to visit the winding pathways, steps and alleys that lead to Seatown and down to the beach. The local people are so welcoming it is almost like stepping back in time with the fabulous community spirit. Derek and Lorraine would like to thank the community for all their support and advice keep it coming !! Find out more at the Garden Arms Hotel Facebook page.